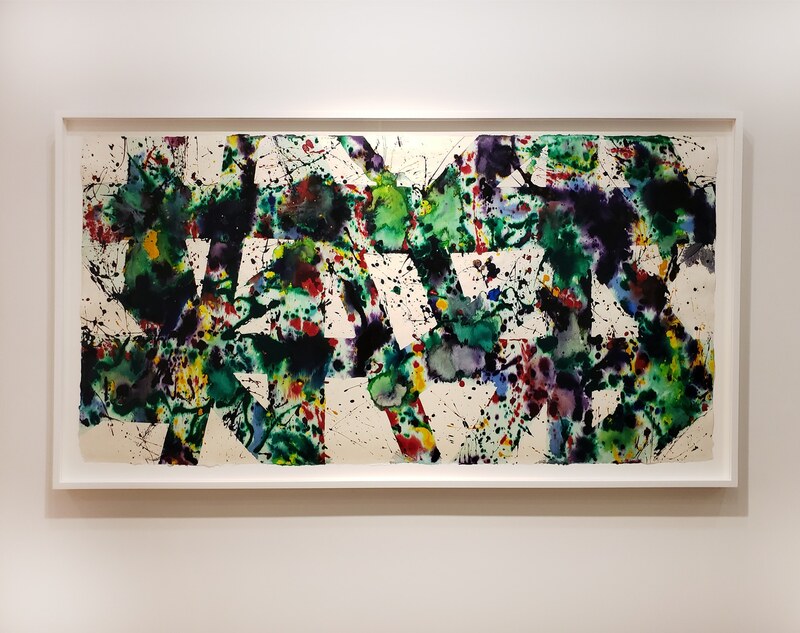 The 1970s saw a remarkable flowering in Sam Francis’s evolution as a painter and visual thinker. 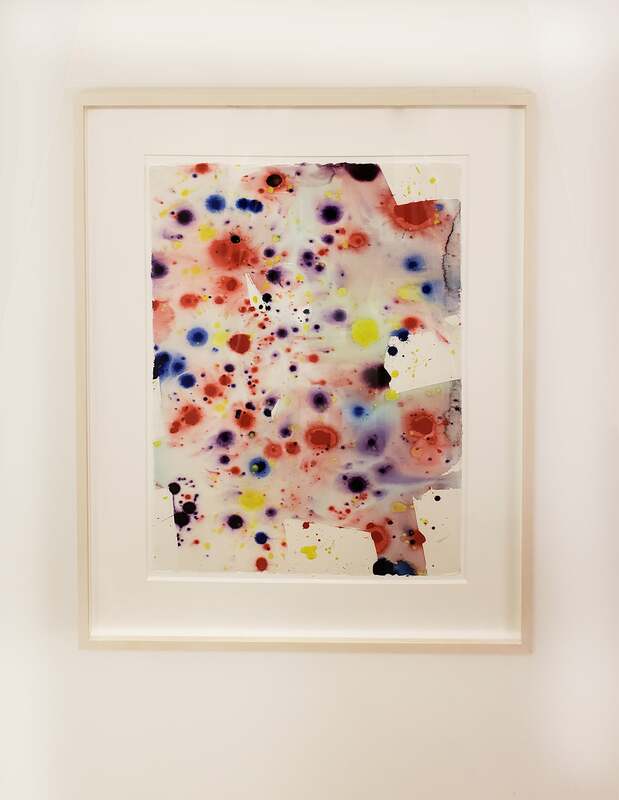 This was arguably his most spectacularly innovative decade, a period of pictorial and conceptual ideas in dynamic flux as the artist configured, deconstructed, and reconstructed color, form, and space in muscular expansions and contractions. It would be tempting to think of this period as transitional—as bridging the open white centers of his late-1960s Edge series with works from the 1980s and early 1990s, which increasingly moved away from negative space toward a Greenbergian “all-overness.” The restless, forward-pushing Francis, however, was always in transition from one mode to the next, experimenting with new techniques and ideas, and in this sense, his 1970s paintings were no more transitional than work from any other decade of his meteoric career. The notion of transition also implies discontinuity, of moving from one discrete style to something altogether different and this was never Francis’s modus operandi. 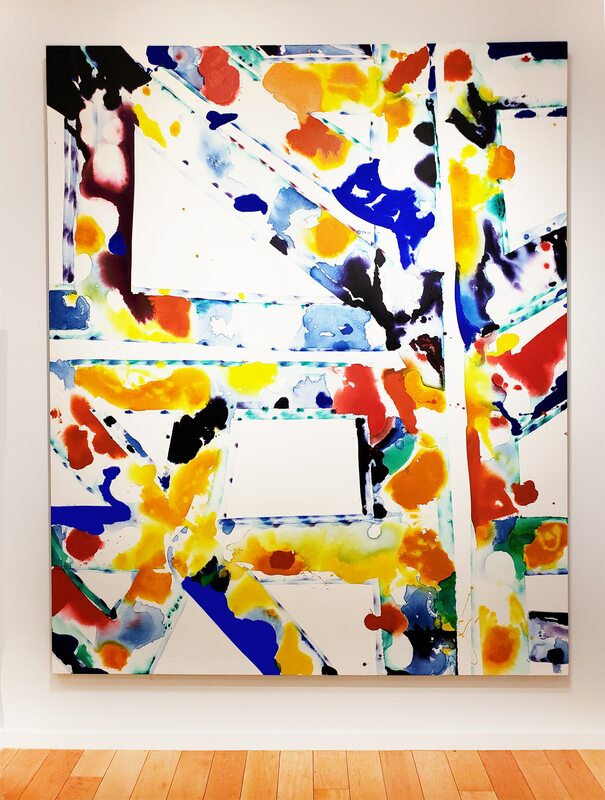 Rather, his work across time integrated consistent key elements: luscious color, exuberant application of thinned-out paint, and significantly, a serenely poetic deployment of negative space. 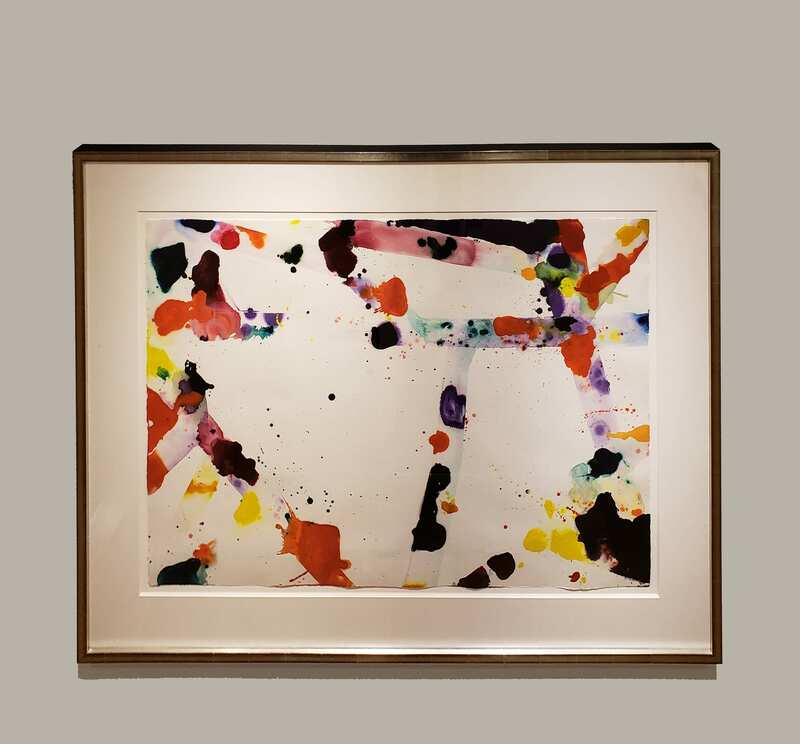 This last property, perhaps more than any other, distinguished his work from the dense compositions of de Kooning and Pollock, the blocky washes of Rothko, the thin, insinuating arcs of Joan Mitchell, and the directional pours of Morris Louis and Paul Jenkins. 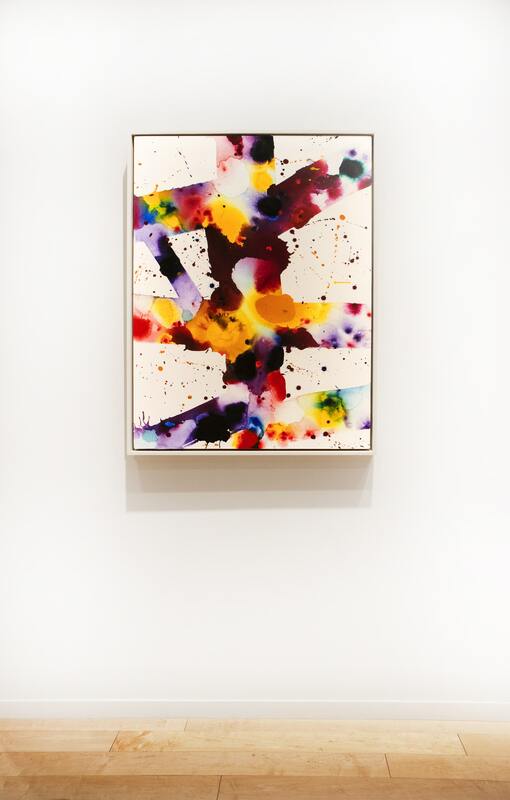 During the fertile middle of his career, negative space made Francis’s paintings recognizable as unquestionably his. Cocooning and contextualizing his exuberant, saturated forms—negative space defined his stylistic fingerprint. This mastery of the spaces between is in abundant evidence in Jonathan Novak Contemporary Art’s exhibition of important Francis works from the 1970s. 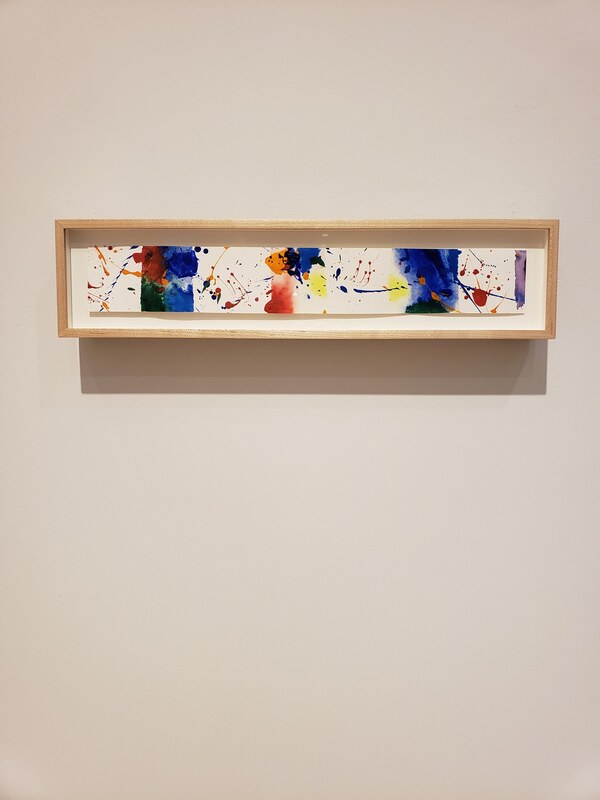 Time after time, the paintings displayed in this exhilarating survey point to Francis reenergizing his commitment to negative space and making these lyrical voids, and the profundities they encompass, accessible to lay viewers and connoisseurs alike. From nearly the beginning of his artistic journey, Francis had a keen interest in the color white and how he could maximize its impact. He began exploring this potential in mid-to-late-1950s “crepuscular” paintings such as Grey Yellowed (1952), an expanse of silvery-white and gunmetal shapes hovering in ethereal atmospherics and Summer #1 (1957), which, from afar, appears to highlight empty white space above and below a bank of organic forms. Closer inspection reveals that this empty space is far from empty; it consists of painted white and off-white forms in a jittery equipoise. White space, whether actively painted or, later, simply gessoed, was never an afterthought or mere background to this painter. Like the pregnant gap between God’s and Adam’s outstretched fingers in Michelangelo’s The Creation of Adam, Francis’s white is a nexus of crackling electric tension, full of possibility and kinetic energy. 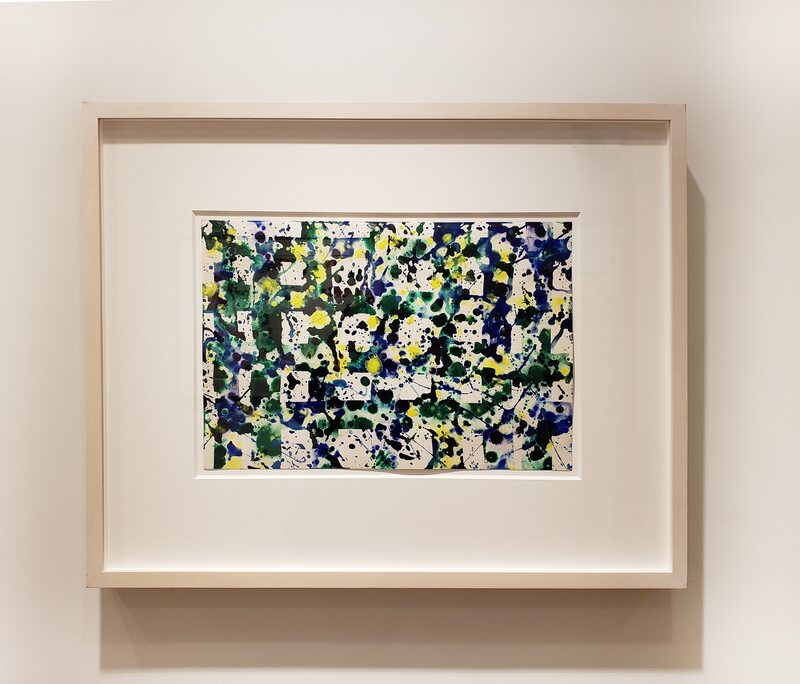 As his exposure to Japan continued—he established studios there, collaborated with Japanese contemporaries, married and divorced two Japanese artists (Teruko Yokoi and Mako Idemitsu—fathering a daughter by the former and two sons by the latter). He learned to speak and write rudimentary Japanese—his understanding of “ma” deepened and he found new ways to incorporate it into his artworks. 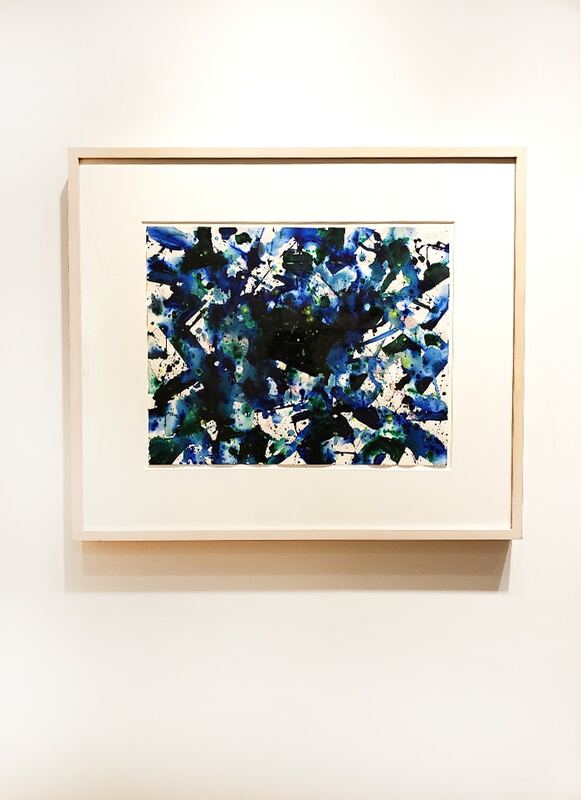 In the Blue Balls series from the early 1960s, the viewer’s eye travels between jellyfish-like forms via open white pathways similar to those in Japan Line. 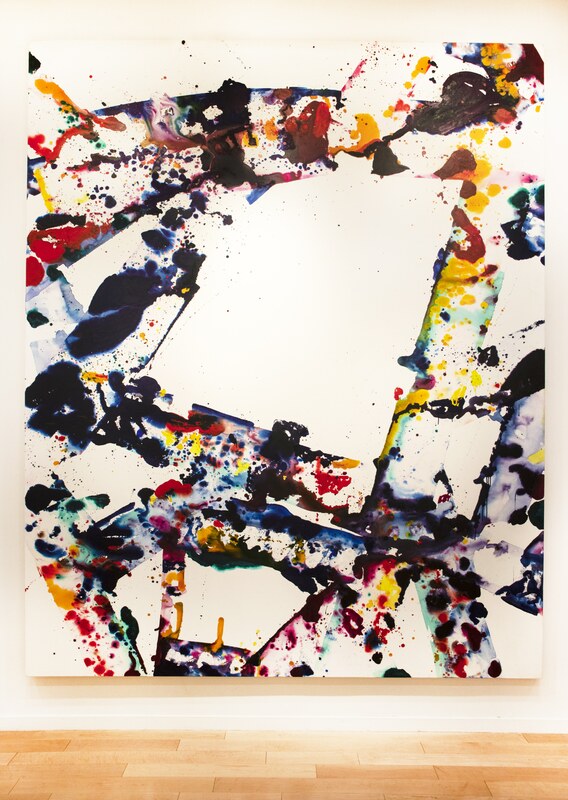 In the mid-to late 1960s, Francis pushed the “action” of his action paintings increasingly to the sides, culminating in his apotheosis of “ma,” the austere Edge paintings, in which he marginalized color to the periphery, leaving great gaping expanses inside that challenged viewers to enter. “The center of these paintings is reserved for you,” he wrote in an undated, much-quoted aphorism. “Are you the white from eternity?” he asked in another. For Francis, who had studied Zen texts since his student days at UC Berkeley, the charged, liquid voids in Japanese painting and his own were dwellings of the infinite, of oblivion, the fierce, tender maw of the undiscovered country. Not every viewer was eager to confront such unbounded depths, however, and in fact, many found the Edge paintings intimidating. As the 1970s began—perhaps having ventured as far into the void as he could without losing himself and his fans within it—he took up a different strategy toward “ma,” effectively wresting it from the jaws of inaccessibility. 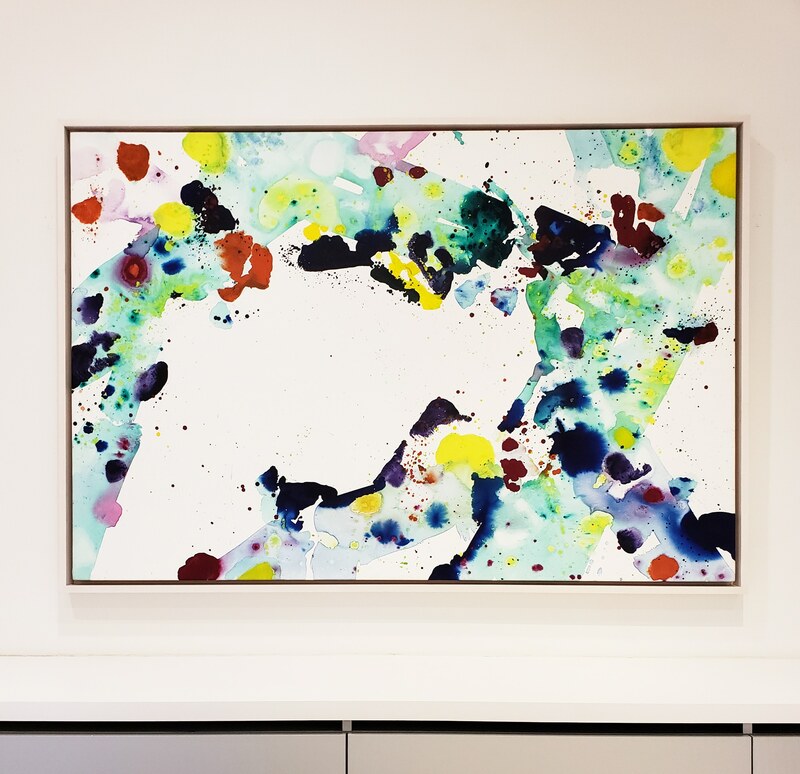 The first steps in this new direction came with his Fresh Air paintings, named after Fresh Air School, a folio of lithographs he co-created with Joan Mitchell and Walasse Ting in 1972-73. In paintings from this period such as Untitled No. 5 (SFP73-18) (SFF.596), Untitled No. 8 (SFP73-20) (SFF.599), and Untitled (SFP73-22) (SFF.630)—all from 1973—Francis used water, tinted gesso, brushes, and rollers to demarcate structural “beams” to which he then applied paint on dampened areas, working wet-on-wet, often revisiting the surface with new color after the initial drying. The resulting girding crisscrossed the picture plane in jaunty rhythms: tracks of color in a high-spirited gestural ballet, evoking confetti glittering in midair, sunset cloudscapes, coral and constellations, balloons and beach balls, and all things irrepressibly optimistic. Is it possible to look upon a work like Untitled (SF71-1006), from 1971, without smiling widely inside and out? In between the bands of color were his familiar white spaces, except that, now, instead of imperious, existentialist chasms threatening to gobble viewers up, these were smaller, friendlier, more navigable voids, more portholes than portals, still reserved for the viewer but without the imperative to swan-dive into the abyss. These white spaces could be geometric, as in the chipper triangles and quadrilaterals embedded in Untitled (SFP77-3) (SFF.679) from 1977 and the following year’s Untitled (SF78-001); or their interiors could be more irregular, as in Green (Untitled)(SFP71-34; SFP73-12) (SFF.586), which Francis created between 1971 and 1973 and Untitled (SF73-32) from 1973. He did not require large substrates to communicate Fresh Air’s visual tenets—witness the astonishing economy of Untitled (SF78-243), circa 1978, which distills the series into a disproportionately powerful 2-1/4 by 14-7/8 inches. With these groundbreaking works, the artist had found a way to integrate his joyously willy-nilly paint application with architectonic discipline. The progression from the yawning white centers of Edge to the density of Matrix was radical. To casual observers it likely seemed Francis was closing up and shutting down his fabled “ma,” pulling shut the slatted blinds like prison bars where once there had been only space. I submit he was actually doing the opposite. Instead of one massive white wall, now there was a checkerboard of dozens of smaller white squares. Francis was multiplying “ma”—compounding the viewer’s points of entry into the mystical white space inside and beyond the picture plane. How so? When we think of a grid, generally, we imagine a network of intersecting lines, a scaffold holding things together. We don’t think so much of the gaps that the grid frames, the holes that puncture it, the myriad squares of emptiness within. 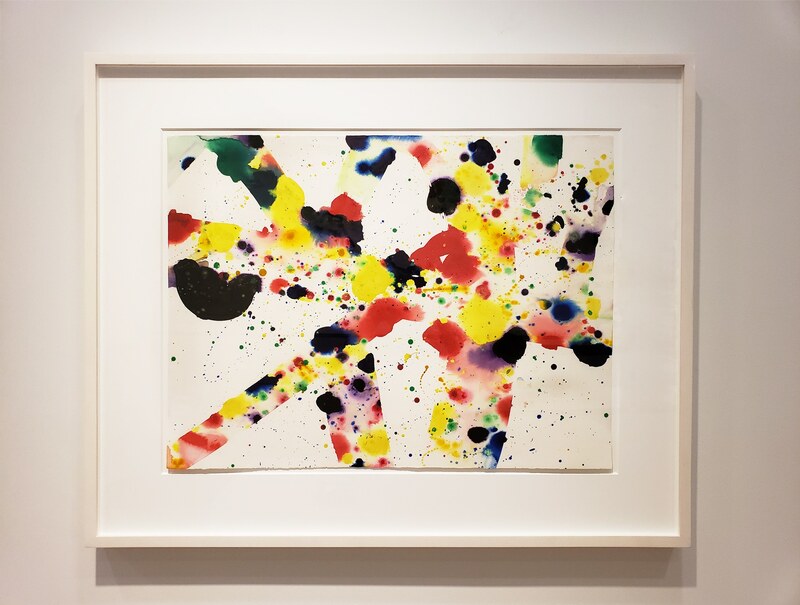 But Sam Francis never stopped thinking about the emptiness within. His mother, Katherine Lewis Francis, died when he was twelve, a loss that haunted his life. Her absence was part of the primal “ma” inside him, the pit that was not merely empty but aching, churning, reaching. A devotee of homonyms in his writing, he was fond of conflating “the whole of eternity” with “the hole of eternity,” a formulation that equated totality with absence—the fullness of life and the emptiness of heartbreaking loss—in the cosmos’ Manichean narrative. And so it was with Francis’s grids: transcendence and tragedy made equally approachable. Infinity in the palm of your hand, to invoke his beloved William Blake. Each white square within the mesh is a pint-sized “ma,” a point of entry for the dreams, disappointments, and projections of whoever enters these porous, permeable membranes. 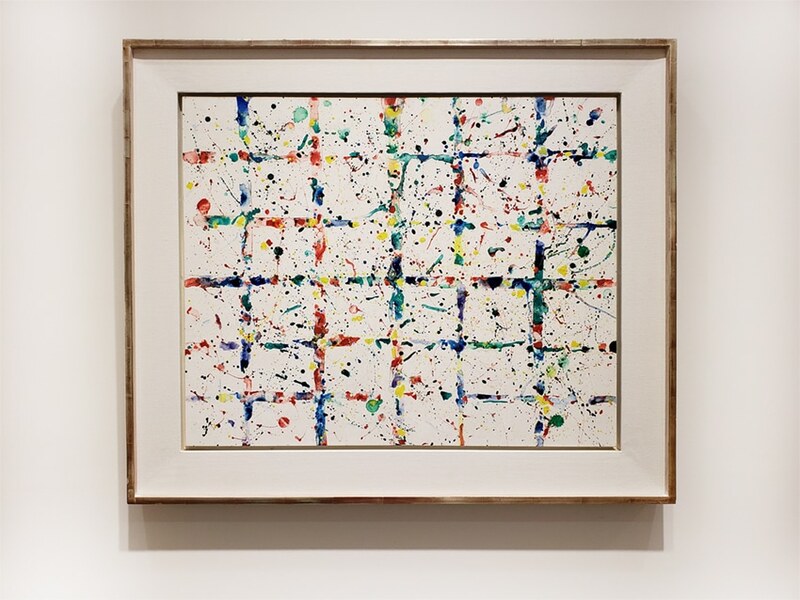 The grids democratized Francis’s “ma,” whether in small works such as Untitled (SFP79-42) from 1979, small-to-midsize works on paper as in Untitled (SF77-079) from 1977, or monumental masterworks such as Untitled (SFP79-52) (SFF..715) from 1979, and the duo of Untitled (SFP79-15) (SFF.731) and Untitled (SFP79-16) (SFF.732), both from 1979-80, which for years graced the Weinstock’s (later Macy’s) department store in Sacramento, California. Yet again, Francis proved in these works he could condense the essence of a series into small scale, as in the diminutive but delightful Untitled (SF79-871) from 1979. 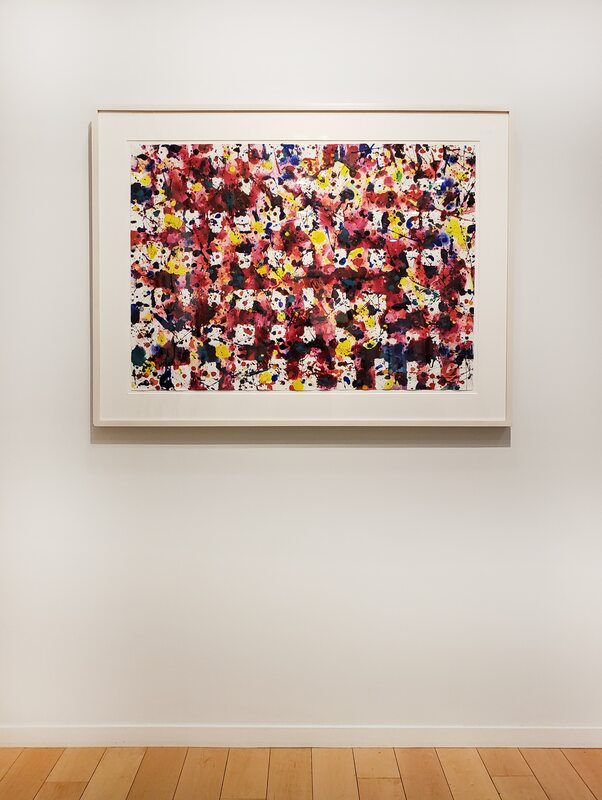 In works across the gamut of scales—rather than one overwhelming block of white—there were now dozens, sometimes more than a hundred, smaller points of entry. Naturally, Francis as an inveterate eclecticist painted many compositions in the ’70s that did not fall neatly into Fresh Air or Matrix modes. He made many works that were more overtly calligraphic. He painted mandalas. Continued his self-portraits. Sketched ideas for sculptures. 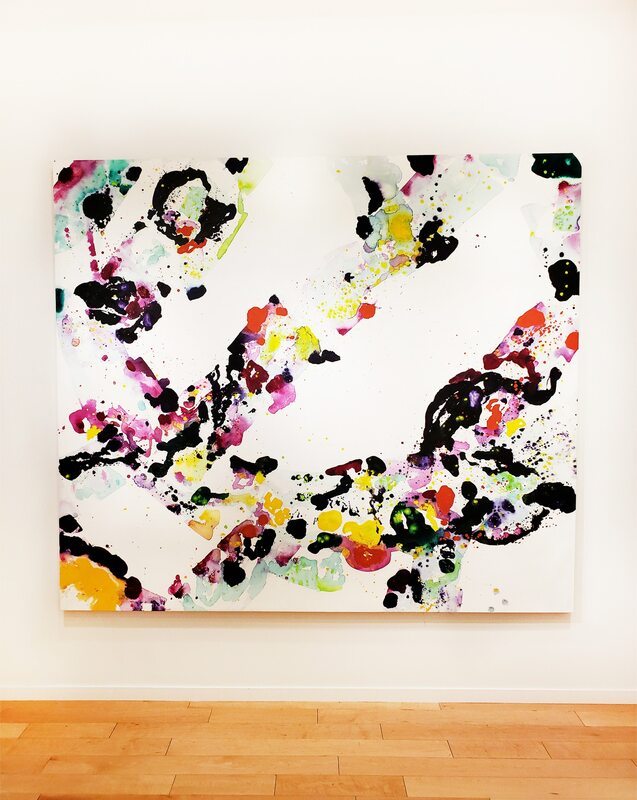 One work from 1974, Untitled (Tokyo) (SF74-96), depicts a constellation of drip-dropped acrylic with only the barest hint of structure, its dots of color untethered, free-floating. Scintillla (SF79-026) from 1979, holds at its center a black void, not white, surrounded by strong, slashing lines that harken to several other series while belonging entirely to none. 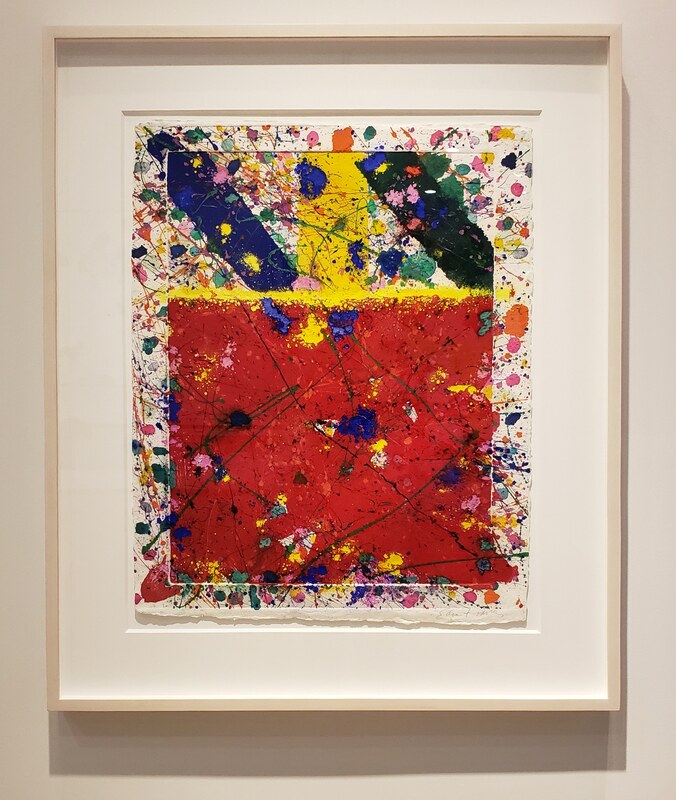 In monotypes such as Red Beam (EXP-SF-21#1-1979) from 1979, he combines straight and diagonal lines atop a red square, set within a framing device along the paper’s perimeter, the whole splashy cornucopia shot through with long drips and spurts of color but no negative space. Indeed, as the ’70s gave way to the ’80s, negative space became less important as Francis began perfusing the picture plane with liquid chroma in unruly flows, volcanic and oceanic, more visceral than philosophical. In the context then, of what came before and after, Francis’s paintings of the ’70s were both a reckoning with and farewell to his long love affair with “ma.” They also expressed an unsinkable joie de vivre during what was, despite dark periods, a charmed decade in his life. During his late 40s to late 50s, while enjoying the full flush of worldly success and a period of relatively good health—a family man as much as he was capable, yet still a ladies’ man, newly exploring his psyche via Kirsch and Jung—he had reached the promontory on the long journey to the prime of life. A sense of joyousness came through in his work, and he wanted—maybe needed—to share it, to include viewers in the sensual and symbolic life of the paintings by inviting them into his kingdom of archetypal forms and space. It is a realm we can still enter, even though Francis himself has stepped through one of his myriad white doors into eternity. To visit with his paintings today is to take a master’s hand and trust it, to choose a point of entry and peer through its color-limned mesh at the vast uncharted regions that await.